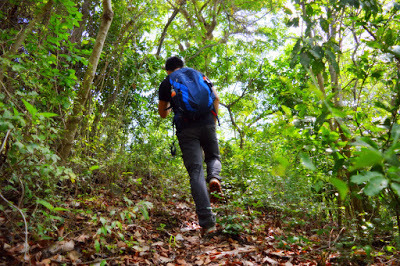 Can hiking make you lose weight? The obvious answer is yes. 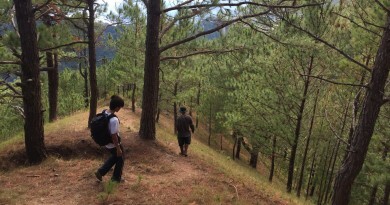 After all, hiking is an aerobic, oftentimes physically demanding activity. Moreover, if you’re going for high peaks, being at high altitude alone, even without hiking, can make you lose weight! But it’s not as straightforward as it seems. The energy demands of hiking are very variable — it really depends on the slope or inclination of the trail, the length or intensity of the hike, and the amount of weight you’re carrying. As many of you may probably notice, not all the hikers you know are losing weight – in fact some of them may be gaining! Here are some tips on how to make hiking a weight-loss activity. 1. Make it regular. For hiking to lead to significant weight loss, one must make it a regular activity – and by regular, I don’t mean once a year or even once a month. I mean, once a week. Hiking regularly makes your body’s physiology attuned to it, thereby making metabolism – and weight loss – easier. 2. Level up. Since weight loss is related to the intensity of the hike, go for more challenging hikes with longer trails. Increase the amount of weight you’re carrying. Going full pack even while doing a dayhike is not just cool — it’s also healthy. Provided of course that you’re carrying your pack properly. If you find Batulao too easy, do it twice or thrice! But going for a tougher hike might be more beneficial: some studies show that you will continue to burn more calories even after an intense activity. 3. Complement it with other aerobic activities. Three is the magic number for the least frequency of aerobic activities every week. So if you’re hiking on Saturdays, do that jog or swim on Tuesdays and Thursdays. Listen to your body — you should also avoid overworking yourself. 3. Eat just enough trail food. I know a lot of hikers are excited about trail food, but if you eat too much, you might even gain weight from hiking! Some trail bars have 300 calories or even more, and if you’re eating chocolates, cookies, that’s a lot! If you really want to eat while on the trail, go for healthy alternatives, like carrot sticks, celery sticks, and zucchini slices (thanks Tin for this!). Personally, I bring fruits like pears, bananas, grapes, and when in Baguio – strawberries! But even fruits must be eaten in moderation. 5. Avoid drinking in the campsite. Alcohol, aside from being a source of hangovers, is also a source of calories. One bottle of Red Horse, for instance, has 220 calories — 10% more than one cup of rice! If you can’t help it, then at least drink very moderately. 6. Don’t undo your calories burned with a heavy post-climb meal. Understandably, there is much reason to celebrate after a hike, especially if you’ve just come back to Puerto Princesa after hiking Mantalingajan. However, you will be counter-acting the weight loss if you will eat too much. It’s okay to eat a bit more — but focus more on the vegetables and the protein, which you most likely didn’t have much of during the hike itself. As for the carbs, if you’ve been eating a lot of trail food and having heavy camp meals, don’t eat too much. Skip the extra rice. Hiking offers more benefits than just weight loss – it improves overall physical and mental health. You can always run the treadmill with a television screen in front of you. But you can take a hike for a much better view!